The Sunday Bikes "Dinowest" Tripod Seat is the signature seat of Erik Elstran and comes with an "mid padded" Design. As you know, Erik Elstran is one of the most creativ BMX rider out there. He always knows how to push the borders but in a way which still keep it real. 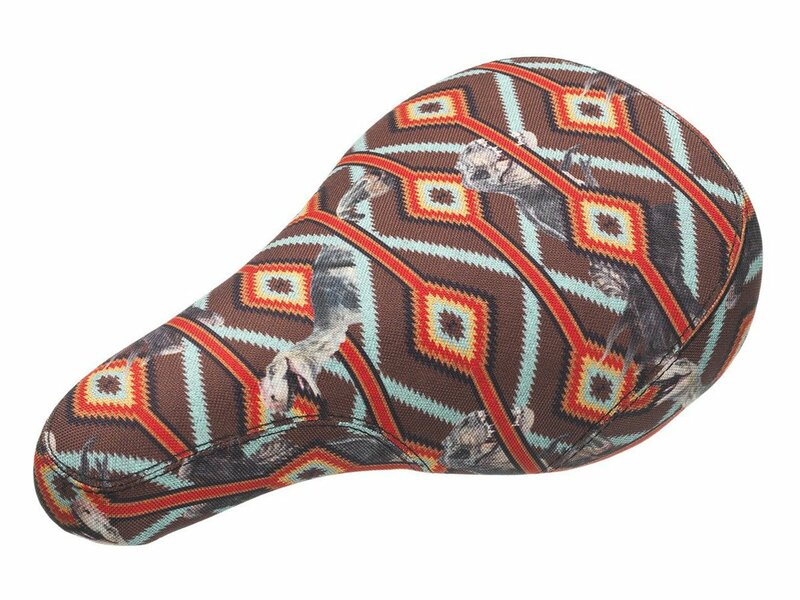 All this attitude, you can find in the pattern design of the Sunday Bikes "Dinowest" Tripod Seat .